"In the team there have been some misunderstandings like when he and I had a furious argument with the others at our training camp on Mount Teide. But is water under the bridge, Valerio is useful to us." At first Valerio Agnoli seemed to be forced to leave Astana and his close friend Vincenzo Nibali. Now the situation has changed and the Italian will join the team at their next training camp in December. 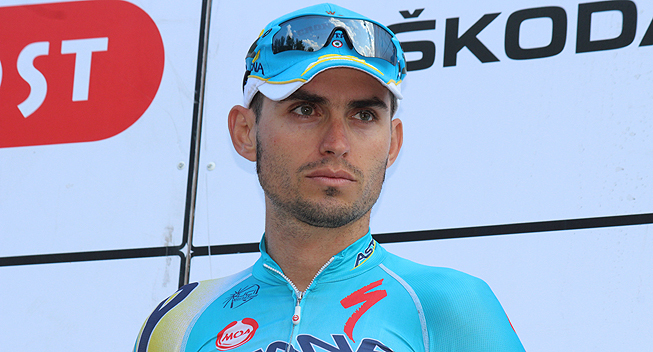 Next year Valerio Agnoli will again ride for Astana. The Italian who was in talks with Neri Sottoli after the Kazakh team had announced its intention not to renew his contract, will join his teammates at the next training camp in Calp in December. The news were revealed by his close friend Vincenzo Nibali. "From the next training camp in Calpe, we will have Agnoli back and that's great news," he told Gazzetta dello Sport. "In the team there have been some misunderstandings like when he and I had a furious argument with the others at our training camp on Mount Teide. But is water under the bridge, Valerio is useful to us."